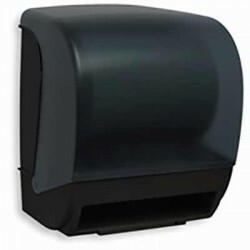 The paper-roll dispenser Model BG-Matic is a universal dispenser that works with all kinds of horizontal coils without precut, suitable for both one and two layers. 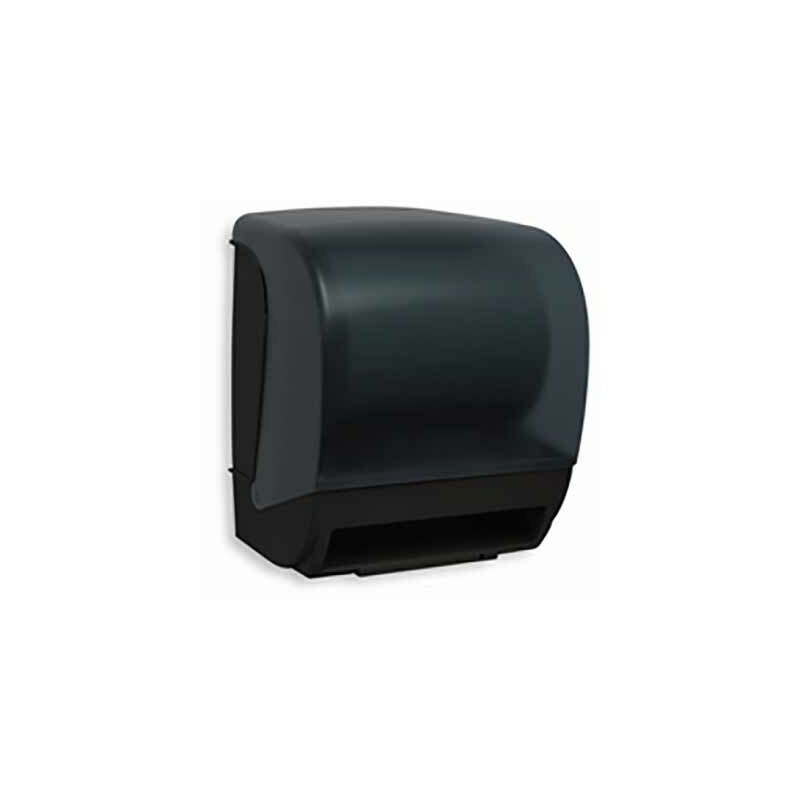 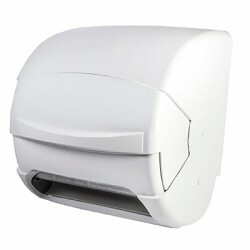 With a more compact size than other dispensers of the same capacity, this paper-roll dispenser has a battery (4 units LR-20) with an outstanding durability lasting more than 70,000 services. 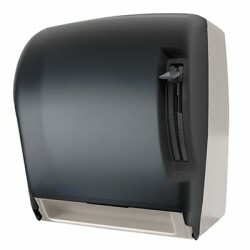 This paper-roll dispenser is ideal for all types of professional hygiene sectors, such as catering, industries and communities. 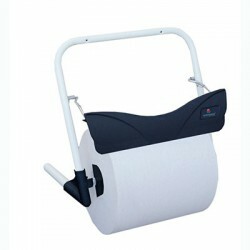 It is available in two colours: white and smoked.